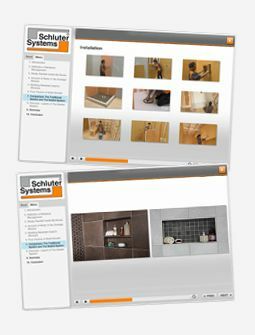 What type of thin-set mortar should I use when installing Schluter®-KERDI? The thin-set mortar used for bonding KERDI must be appropriate for the substrate and must penetrate and engage the KERDI fleece. When installing KERDI with unmodified thin-set mortar over particularly dry and porous substrates, it is recommended to dampen the substrate first, in order to help prevent premature drying or skinning of the thin-set mortar. Unmodified thin-set mortar must be used to construct all KERDI seams to ensure watertight performance of the system.